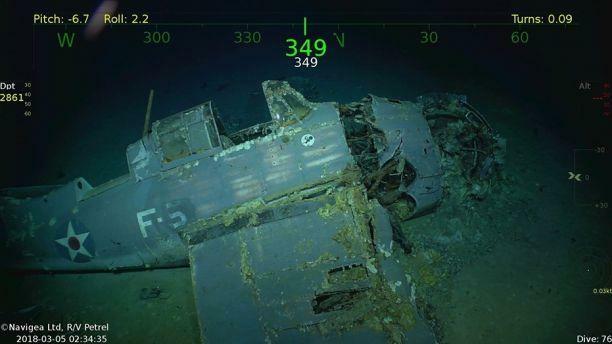 USS Lexington, lost at the Battle of Coral Sea 76 years ago has been found. Incredible find and in incredible condition! Just have to keep the souvenir hunters away from her. At a depth of 3,000 meters (1.86 miles), there's very little oxygen in the water to cause corrosion (at least, that's my guess as I'm no expert). Doug, your guess would be correct. Corrosion is an oxidation process. Oxidation requires oxygen and at such depths, there is little free oxygen, so little corrosion occurs.